SCAPE | A good day for SCAPE! A good day for SCAPE! Last Thursday – September 11th – was a good day for the SCAPE project. 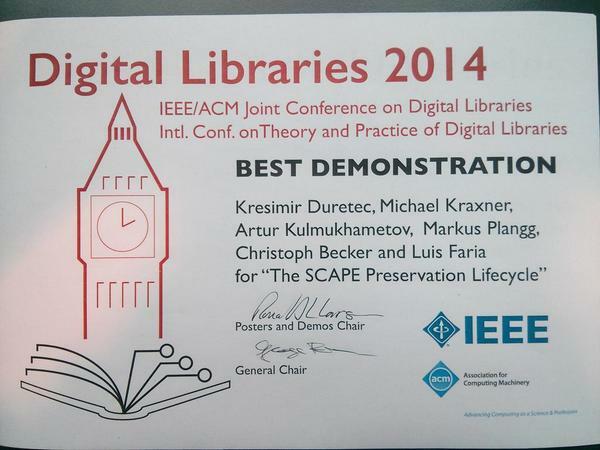 First we received the news that the SCAPE tool Jpylyzer was nominated for the Digital Preservation Awards 2014. An hour later the SCAPE Preservation Lifecycle demo received the Best Demo award at the Digital Libraries 2014 Conference in London. 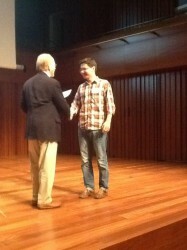 Best of luck to Johan with Jpylyzer and congratulations to the Preservation Lifecycle team!